Polemonium (pol-em-moh-nee-um), Jacob’s Ladder; Polemoniaceae Family. Polemonium are easily grown, hardy, spring flowering perennials, mostly of North America. The flowers, usually blue, bloom in graceful clusters that resemble the common garden phlox. They last well when cut. A rich, porous, well-drained soil and light shade are needed. Polemonium caeruleum (see-rew-lee-um) a mounding plant for the perennial border, with yellow-anthered blue florets, 1-inch across, in showy clusters. Flower stems 1 to 2 ½ foot high, bloom in May and June. Found wild in moist woods in this country. Polemonium caeruleum is on some states' preservation list. Polemonium reptans (repp-tanz) low growing plant, blooming in April and May. Light blue flowers, ¾ inch across, in loose clusters, are on stems that are 5 to 8 inches high. Polemonium reptans is beautiful in the rock garden, in the crevices of rock steps, and as a ground cover in the bulb border with tulips and daffodils. Easy to grow, in average, medium moisture, well-drained soils, Polemoniums prefer rich, humus, consistently moist soil with protection from afternoon sun. Foliage may scorch in too much sun. Deadhead to encourage late summer reblooming. 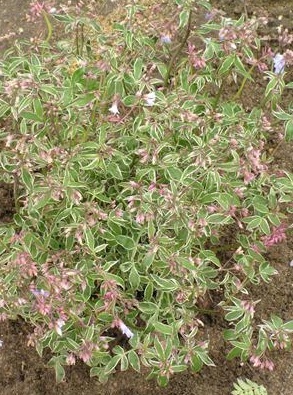 Attributes: Border plants, Cut flower or foliage, Mass plantings, and Specimen or focal point. Deer resistant.